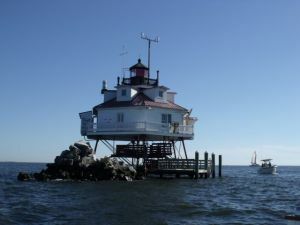 Workday:Thomas Point Lighthouse – Sept 27, 2014 – Chesapeake Chapter U.S.L.H.S. 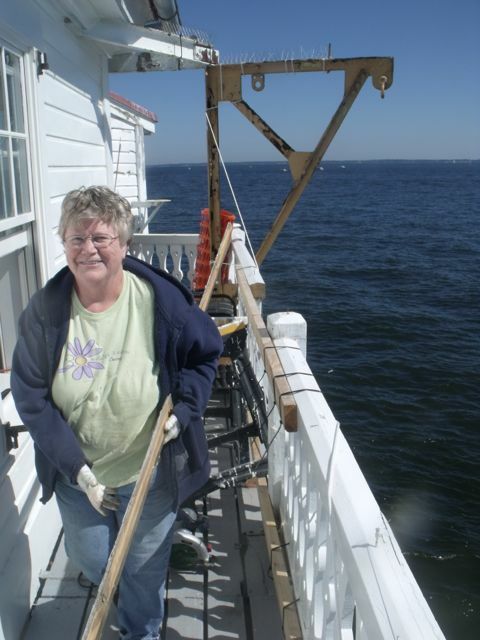 Slightly less than a dozen volunteers showed up for a pleasant fall workday out on the bay. 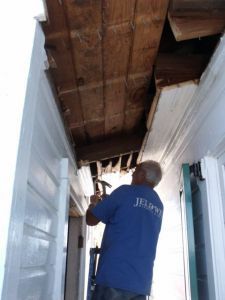 They were very busy with the task of starting the effort to remove the shed that had been put up by the Coast Guard in more recent years. 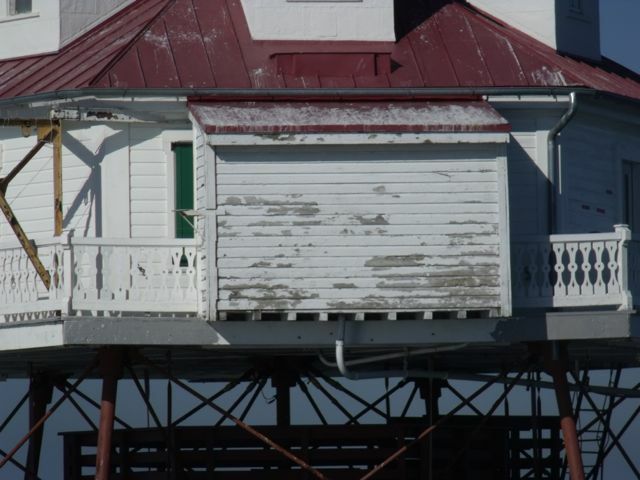 The shed is not historic and will be dismantled. That effort started and as a result a lot of wood was removed and carted off the light. 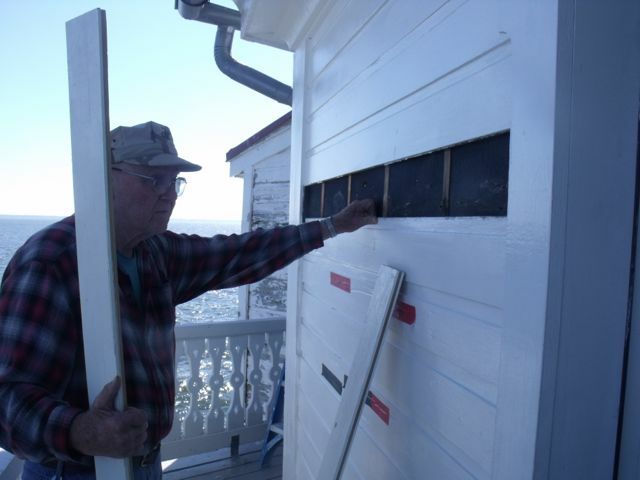 Volunteers also replaced some of the siding – a seemingly never-ending task for a wooden light sitting in the bay. 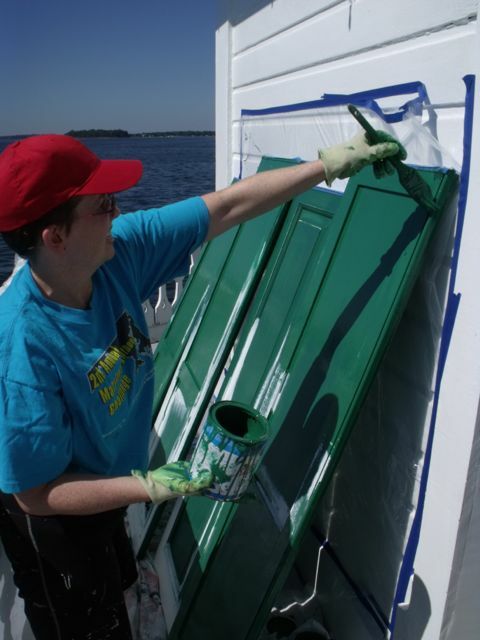 There was a little bit of painting – this time some of the bright green shutters and also the interior of the lantern room where the scaffolding had been constructed during the last workday. The Kitchen and Sitting Room walls were given some attention as the cracks and holes were caulked. Volunteers also started to cut and fit some trim for the sitting room. 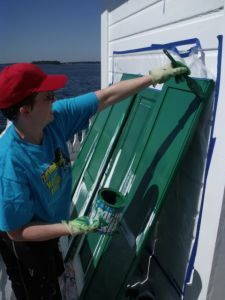 The birds were less kind this time so some time was spent cleaning the landing dock. 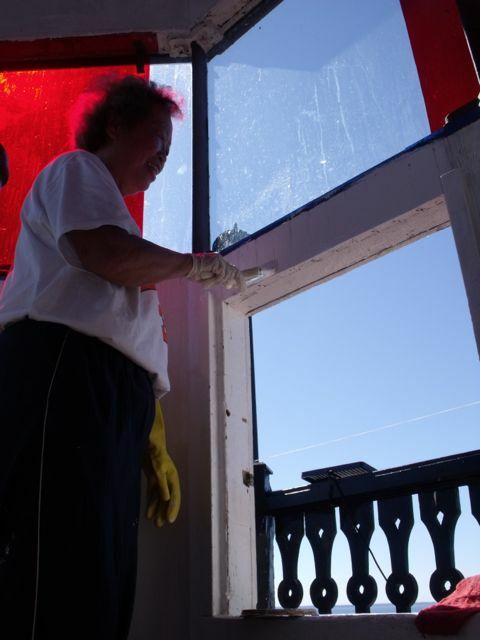 Volunteers also spent some time organizing the workroom. Al prepares siding for replacement. Supply shed built by Coast Guard that will be removed. Heidi paints lantern room wall. 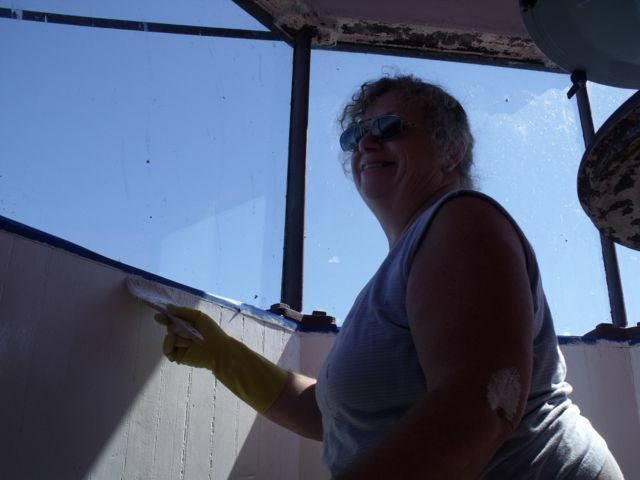 Susie paints lantern room wall. Howard starts detaching shed from lighthouse. Karl assists Capt. 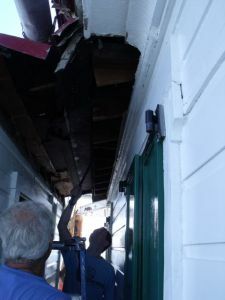 Howard in removing shed. 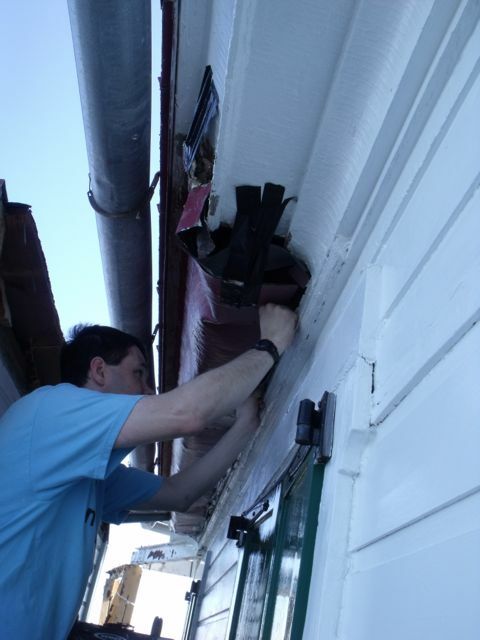 Karl covers openings to keep out uninvited guests.